MANILA – The Philippines is looking to establish its airports as major international travel hubs, and to facilitate this task it will end some of the taxes currently levied on foreign air carriers flying out of the country. During the opening ceremony of a conference held in Davao City on March 7th, the President of the Philippines Benigno Aquino signed the Republic Act No. 10374, exempting foreign airlines from paying Common Carriers Tax (CTC) on their revenues earned from passenger fees and tickets on flights leaving the Philippines. Previously the CTC was charged at a level of 3 percent on the revenue garnered by a foreign airline from carrying passengers or cargo, and also from the fees charged for customers’ excess baggage. International airlines will now also be exempt from paying the 2.5 percent gross Philippines billings (GPB) tax on revenues earned from carrying passengers and from fees charged for handling of excess baggage. 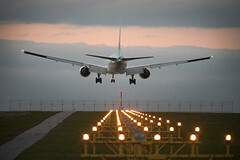 The President explained that reducing the taxes which are paid out by international airlines should encourage carriers to establish more routes to the Philippines, increasing the attractiveness of the country as a travel destination, and allowing the nation to become a travel hub for travelers flying to other countries of the Asia-Pacific region. Shortly after signing the Act, Benigno Aquino acknowledged that the move will lead to a reduction in the revenues collected from the two taxes, but suggested that the overall benefit for the country will be largely positive.